W.E.B. 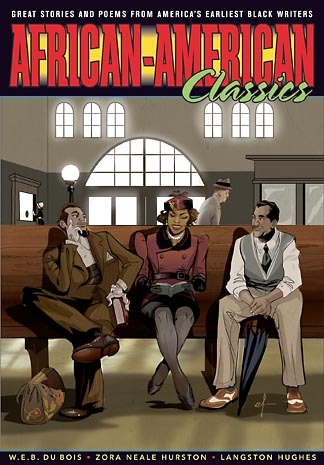 Du Bois, Zora Neale Hurston, and Langston Hughes in illustrated form on the cover of African-American Classics. The 22 pieces in this terrific collection, all by African-American illustrators, bring to life short stories and poems by America’s earliest African-American writers, some famous, others largely lost to the shifting winds of time and brought back to life here. As a collection of fine writing and illustrating, as well as a window into the mind of the African-American artist of generations ago, the collection is indispensable.